By Rod Boyd, Coordinator for SEC (Servicio de Educación Cristiana) for Spanish-speaking Latin America and Director of the Resource and Advisory Center in Panama. I just finished teaching the ISUM two-week intensive course on Principles of Administration to a group of 28 pastors and ministry leaders in Barquisimeto, Venezuela. Most of the students were from Venezuela; four were from other countries. There was such a diverse mixture of both education and ministry… a Colombian missionary pastoring in the jungle, the national secretary for the A/G of Venezuela, a youth pastor from a large church, a Brazilian missionary and pastor. 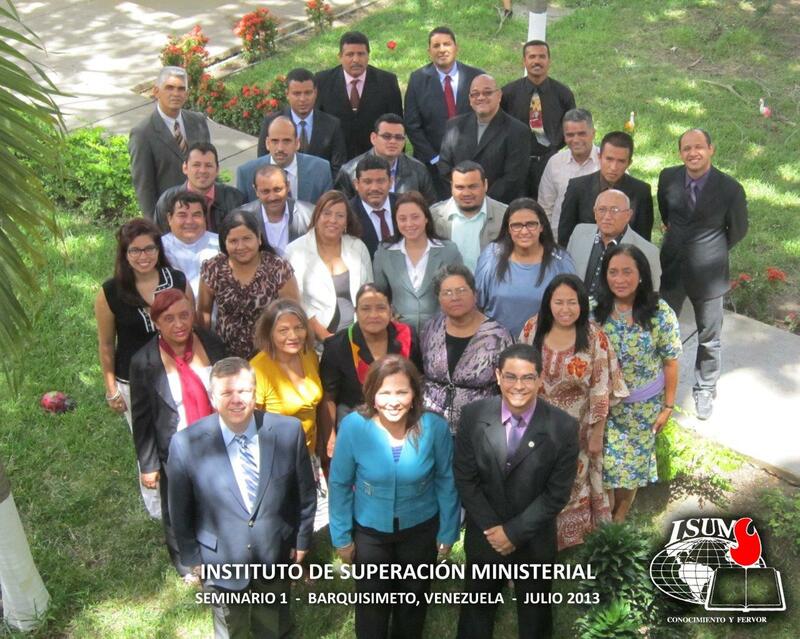 ISUM—Instituto de Superación Ministerial, or Latin America Advanced School of Theology in English—is the Assemblies of God international school for Spanish-speaking countries that allows students to complete their Bible school bachelor of arts degree. There are twenty courses offered in four intensive seminars, each lasting four weeks. 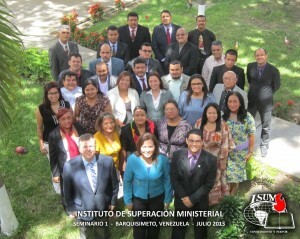 Many countries require at least some ISUM training for their license or ordination credential. A combination of national and missionary educators teach courses that are both academic and practical. ISUM’s slogan is Conocimiento y Fervor (Knowledge and Zeal). Seminars are held in a Bible School or camp where there are dorms to facilitate a strong atmosphere of community. Prayer, worship and the Word are always present, inside and outside of the classroom. Students and teachers live together, eat together, pray together and study together. This latest ISUM experience reminded me of why I teach. Following are five lessons that I learned. Actually, these are five refresher courses in things I already knew, but needed to be reminded about! Teaching is a lot of work and sacrifice. Even more if you happen to be directing the seminar! Teaching requires discipline to research and prepare. Because of the intense nature of the seminar (20 hours in two weeks), I had to prepare nearly everything in advance… course plan, homework assignments, tests, content and audiovisual presentation. Teaching ISUM also requires me to set aside two weeks of my busy schedule, plus travel to the seminar site. In addition, good teaching requires me to enter into relationship with my students, to care about them and to cultivate the fruit of the Spirit in these relationships. Because of all of the work, it would actually be a lot easier to just skip teaching. Then why do I teach? Teaching is an organic function for the missionary. I have to teach! I can’t imagine a missionary not involved in teaching, training or discipling people. All agree that one of the four main missionary tasks is training. But that doesn’t mean that missionaries involved in the other three—reaching (evangelism), (church) planting and touching (compassion ministries)—don’t need to be teaching, training and discipling others along the way. Teaching is at the core of the 2 Timothy 2:2 formula—passing along what we’ve learned to others who will in turn pass it on. These days missionary budgets are harder to raise… and harder to keep! I can make a passionate case for the biblical principle of multiplying ministry. It is a great missions model! Teaching helps me stay really connected. I didn’t see another missionary or North American during my time Barquisimeto. I think this “cultural isolation” really helped me this time to connect with my students and the other teachers… even though at times I felt a little like the gringo mascot! I think the course that I taught helped me to connect. I tried to help the students focus on their own leadership skills and experience during the course. 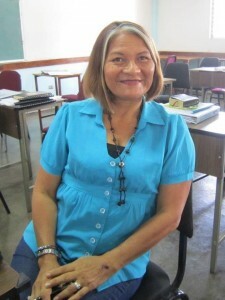 One of their tareas (assignments) was to write a reflection paper on leadership and administration in their ministry—how spiritual gifts functioned in their ministry, their leadership style, their strengths and weaknesses, and the exercise of planning, organization, direction and control (elements of the administrative process) in their ministry. One of my students asked, “This is the first time I’ve ever written so much about myself.” Another asked, “Profe (professor), why do you want to know so much about me?” I was not prepared for their honest and transparent assessments of their leadership. Not only did it help the students understand themselves better, but I was touched by their stories of service and sacrifice for the kingdom. This very personal knowledge combined with multiple opportunities to fellowship over a meal or in passing, helped me connect with them on a personal level. These are influential connections. 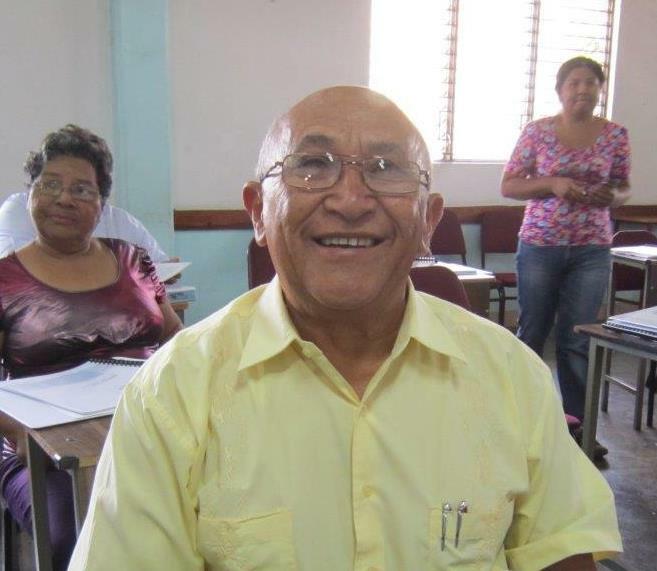 Whether we are teaching a Bible school class, ISUM or Facultad de Teología (master’s level school), we are connecting with both present and future pastors and national leaders. Teaching in these A/G institutions and schools also connects us with the official training “pipeline” in our countries. When we teach we connect both with the individual and with the organization. Teaching is a privilege. I am privileged to be a missionary! Today’s Latin America and Caribbean missionaries ride on the coattails of some pretty dedicated and incredible pioneers. Our national brothers and sisters remember well how these missionaries impacted their lives. I was sitting with Carmen, one of my more senior students, at lunch one day. I asked her about her name since her school records show her name as Macaira. She glowed as she told me the story of how many years ago a lady missionary who taught her in Bible School couldn’t pronounce her name Macaira, so decided to call her by her middle name Carmen. It stuck and today everyone calls her Carmen! That missionary lady built much of the Bible school in Barquisimeto that has trained thousands and that we were using for ISUM. Missionaries, even younger missionaries, continue to have surprising influence that opens doors of significant opportunity. As we were preparing for the mission field, it never entered my mind that I would be teaching Bible school or ISUM. I didn’t think I qualified. As it turned out, my accredited BA degree was more than most of the other teachers. But that’s not why they asked me to teach. It was because I was a missionary. We are privileged; and are privileged to teach. Teaching inspires me to keep going. I am humbled to think about the honor I had to teach these 28 students. Each has his or her story of spiritual journey and ministry formation. Three of these impacted me. Pastor Jose is a Brazilian missionary who works at church planting. This elderly gentleman has planted multiple churches in three countries. Angel, a pastor of one of those daughter churches is also studying with him. Pastor Jose’s sweet, humble and positive presence permeates the classroom. Yet, this man is a true apostle! Who am I to teach him? 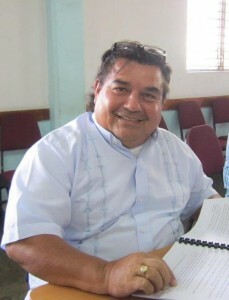 Pastor Othiel is the General Secretary of the A/G in Venezuela. He pastors a church of 2,000 in the state of Falcon. Under his leadership, his District planted 100 churches last year! He’ll probably be the next superintendent. Yet, he humbled himself to continue his training and is studying with ISUM. And he brought three of his pastors to join him! Why am I trying to teach him? 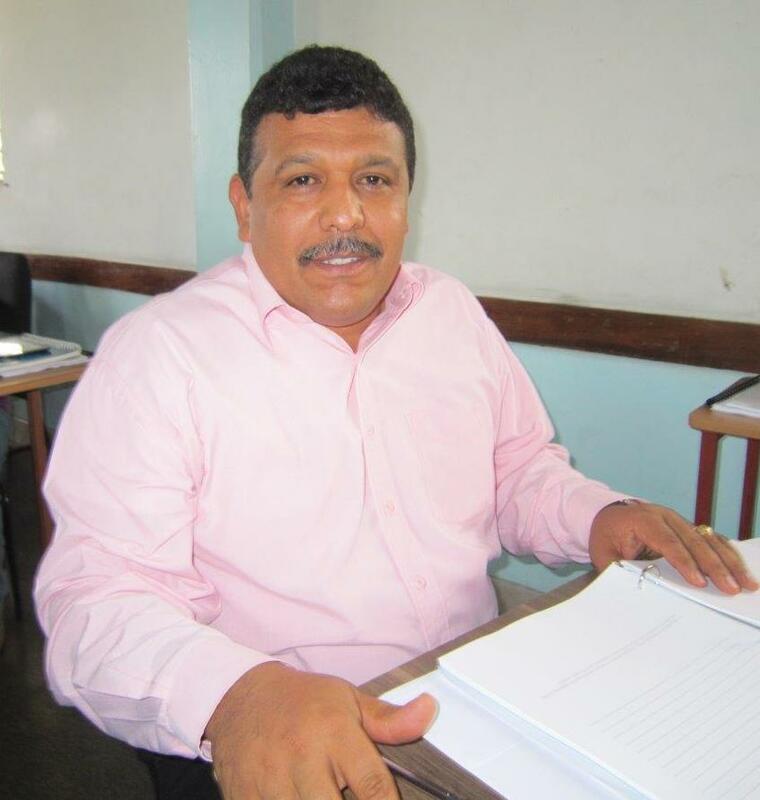 Pastor Humberto serves along the Colombian/Venezuela border, pastoring a series of churches and encouraging other pastors in that remote jungle area. He told me story after story of how his life has been at risk from guerillas, police, poisonous snakes and spiders. I felt like I was listening to the Apostle Paul’s 2nd Corinthians chapter 11 list! What do I have to share with this committed servant? In fact, who am I to teach any of these? Their spirit, their example and their ministry inspire me! Even though teaching is hard work and may require some sacrifice, this pales in comparison to the return on our investment—lives and ministries forged for the Kingdom. As a missionary, I recognize how important and how natural it is for me to teach. It keeps me connected to the national church training structure, but more importantly to the lives of individual students whose lives and ministries continue to amaze and inspire me. I’m so privileged to be able to teach! Wow, Rodney, very well said. I just read every word and am moved, motivated and encouraged. Thanks for opening your heart and for sharing in such a forthright, practical and vulnerable way. The comment about feeling like you were a gringo mascot is hilarious. Great stories of heroes of the faith. Wish I could have taken the course. We appreciate you much, hermano y amigo, and we thank God for your life. Your article shows that teaching can be both fun and rewarding! I agree with Rocky; Wow, very well said! Every missionary should be a teacher and at the same time it is so enriching for our own lives as well. Rod, you definitely have a gift for writing. WOW Rod! I think we have won you over! There is nothing that compares with several weeks of eating and sleeping and living with these incredible students to make you love them and be willing to give your life for them. The fact that the teachers are PRESENT with the students impacts their lives and the teachers life forever. It is Jesus model and we believe in it. CONOCIMIENTO Y FERVOR, we not only transmit knowledge but we also PRAY with them and believe that the Holy Spirit speaks to them in every single class hour. It is a powerful combination, and it works!! Thanks so much for teaching and directing for us. Your involvement on the ground level and in the Cumbres impacts OUR lives and thousands of others. It is worth it!! Thanks Rod for sharing your experience and your heart in this article. Your words moved me and inspire me to continue teaching and making disciples. Excellent expression of what we do as teachers and missionaries. By far, being able to eat, sleep, and fellowship with the students makes ISUM a learning experience on all fronts. Thanks for your leadership, example, and devotion in preparing leaders for the future in Latin America and around the world. I leave in 2 hours to do the same thing in San Antonio for the next 2 weeks. Make God use this time for His glory. Rod, I think you make a great gringo mascot! Excellent article.